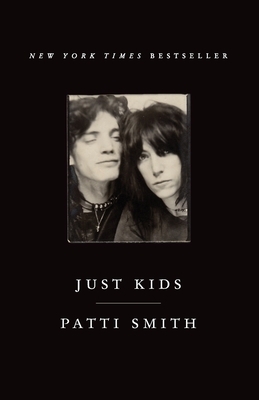 In Just Kids, Patti Smith’s first book of prose, the legendary American artist offers a never-before-seen glimpse of her remarkable relationship with photographer Robert Mapplethorpe in the epochal days of New York City and the Chelsea Hotel in the late sixties and seventies. An honest and moving story of youth and friendship, Smith brings the same unique, lyrical quality to Just Kids as she has to the rest of her formidable body of work—from her influential 1975 album Horses to her visual art and poetry. Patti Smith is a writer, performer, and visual artist. She gained recognition in the 1970s for her revolutionary mergence of poetry and rock and was inducted into the Rock & Roll Hall of Fame in 2007. Her seminal album Horses, bearing Robert Mapplethorpe’s renowned photograph, hasbeen hailed as one of the top one hundred albums of all time. Her books include M Train, Witt, Babel, Woolgathering, The Coral Sea, and Auguries of Innocence.